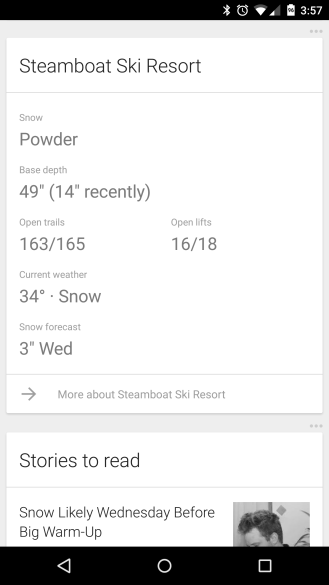 If you plan on hitting the slopes this winter, it appears that Google Now may be able to help you prepare. 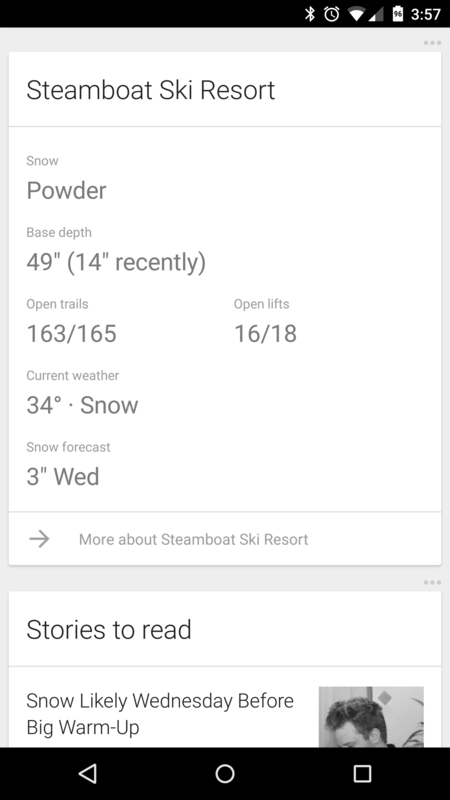 A reader sent in this screenshot of a Google Now card providing him with an overview of the weather and snow conditions at a nearby ski resort. Unfortunately none of us on the AP staff have been able to verify this for ourselves, perhaps because we don't live close enough to any supported ski resorts. 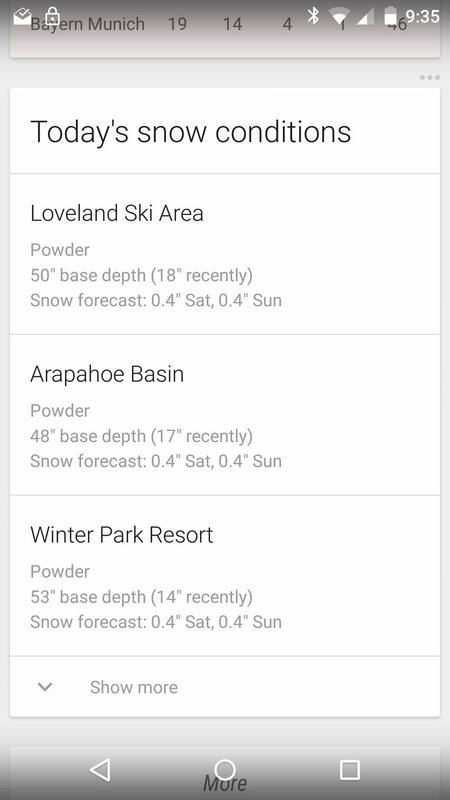 Snow reports don't yet appear on Google's list of cards either. So if anyone out there has also received this card, feel free to chime in. You guys didn't waste any time. 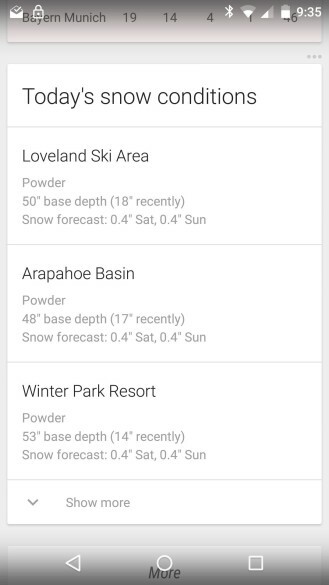 Thanks for the confirmations, including this screenshot which shows multiple ski resorts at once. 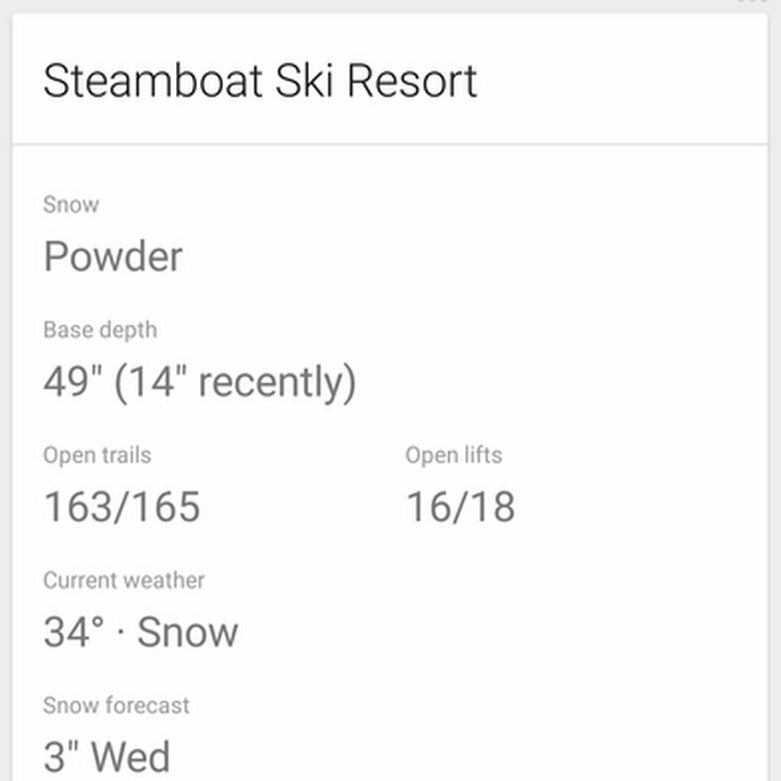 If you click on the card's settings, you can apparently select which ski resorts are displayed.